In the following sequence of introductory videos nuclear physicist Stanton Friedman addresses the key questions surrounding the subject from a rational science-based perspective. His overview provides a valuable lesson in how we think about and conduct scientific research. #3 that the central debunking arguments, upon examination, are bogus arguments. 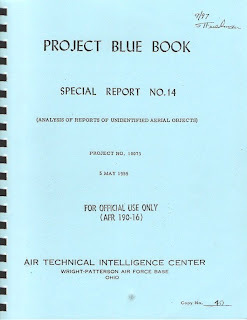 "Visual mirage at Bentwaters seems to be out of the question because of the combined ground and airborne observations; the C47 pilot apparently saw the UFO below him. The visual objects do not seem to have been meteors; statements by the observers that meteors were numerous imply that they were able to differentiate the UFO from the meteors. 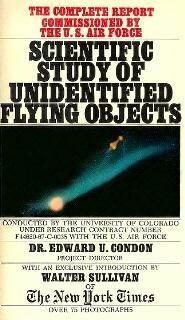 The Colorado Study, rather than providing a proof that UFO reports should be discounted, shows exactly the opposite. This is something that can only be assertained from reading the Case Studies, and drawing conclusions directly from them, as opposed to accepting, at face value, the demonstrably faulty summary portion of the Report. COMETA was a high-level French UFO study organisation from the late 1990s, composed of high-ranking officers and officials, some having held command posts in the armed forces and aerospace industry. The name "COMETA" in English stands for "Committee for in-depth studies." The study was carried out over several years by an independent group of mostly former "auditors" at the Institute of Advanced Studies for National Defence, or IHEDN, a high-level French military think-tank, and by various other experts. 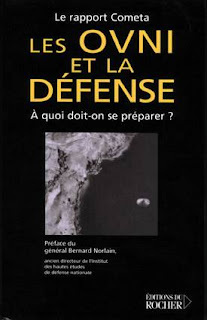 The group was responsible for the 'COMETA Report' (1999) on UFOs and their possible implications for defence in France. The report concluded that about 5% of the UFO cases they studied were utterly inexplicable and the best hypothesis to explain them was the extraterrestrial hypothesis (ETH). The authors also accused the United States government of engaging in a massive cover-up of the evidence. The 'COMETA Report' was not solicited by the French government, although before its public release, it was first sent to French President Jacques Chirac and to Prime Minister Lionel Jospin. 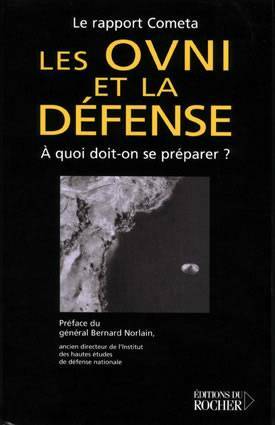 Immediately afterward, a French weekly news and leisure magazine called VSD referred to it as an "official report", though technically this wasn't the case since COMETA was the work of a private, non-profit, ufological study group. Skeptic Claude Maugé wrote about this: "By letter dated 23 February General Bastien, of the Special Staff of the President of the Republic, wrote: 'To answer your question, this report compiled by members of an association organised under the law of 1901 (ruling most non-commercial private associations in France) did not respond to any official request and does not have any special status'." This image was captured during the 1990 Belgium wave of sightings. *Since the filming of 'Cosmos' we have discovered that planets are very common in our Galaxy - thus increasing the odds of extra-terrestrial life, and technology, developing. *The types of civilisations mentioned by Dr Kaku are very useful to consider in regard to the UFO question. 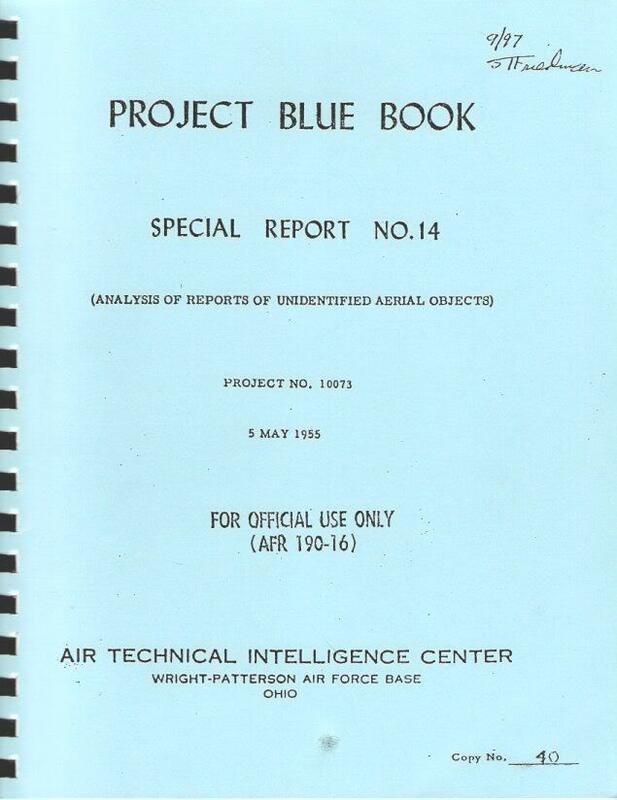 Some UFO reports may indeed be manifestations of advanced technology. Kaku himself states that he personally sees no sign of any advanced civilisation. He can only make such a statement if he totally ignores the UFO data. Note: The Kardashev scale [explained above] is a method of measuring a civilization's level of technological advancement, based on the amount of usable energy a civilization has at its disposal. The scale has three designated categories called Type I, II, and III. A Type I civilization has available all the energy impinging on its home planet, Type II all the energy of its sun, and Type III of its galaxy.